Check out the Strata Business Summit at Strata London, May 21-24, 2018. We've gone way past that now to where I think it's pretty much a premise that if you aren't using your data, you're losing out on a very big competitive advantage. I think it's pretty much a premise that data science is necessary and that you need to do something. Now, the big thing is that companies are really unsure as to what their data scientists should be doing—which areas of their business they can make smarter and how to make it smarter. ... Then, you add artificial intelligence on top of this. Companies hear a lot about artificial intelligence, and they have seen some pretty cool demos—what you can do with extending domain expertise or complex planning, inferring intent, things like that. We're entering that same phase where there are a lot of companies that are kind of skeptical as to whether or not it can actually help them. 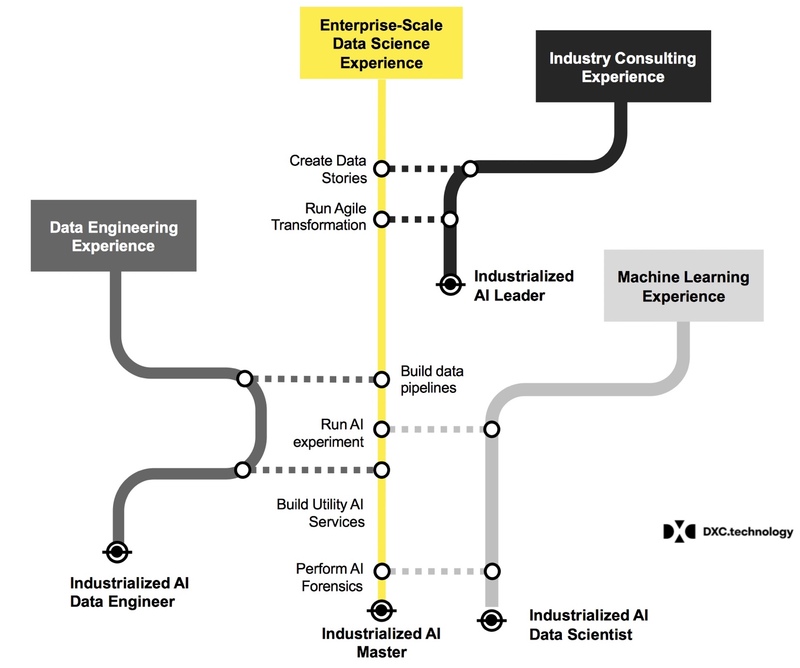 Enterprise data science. Image by Jerry Overton, used with permission. Here are some standard things that we bring to projects. First, we have to build forensic tools to profile the algorithms being used, and then after we have a profile, we anticipate its behavior. Then we get together a diverse group and we assess the enterprise risk. ... Getting people to understand that you have to handle ethics, and fairness, and bias—there are usually pretty mature programs in place for doing that. But where companies have problems is in the specific tactics for doing that. Strategies for making sure that what you put out is aligned with the ethics of the group of the company that you work in, and that's a lot of what we help our clients with.